comparisons: CPR, Whose Line Is It Anyway? United by their love of humor and love for the Lord, Joel McBroom, Ryan Graham, and Ryan Morell comprise the Christian improv, sketch, and stand-up group DUCTAPE COMEDY, which since 2000 has brought laughter and joy to hundreds of thousands of people across the United States and even to a few Canadians. Their innovative writing and frenetic performances have garnered the group an enormous word-of-mouth following. 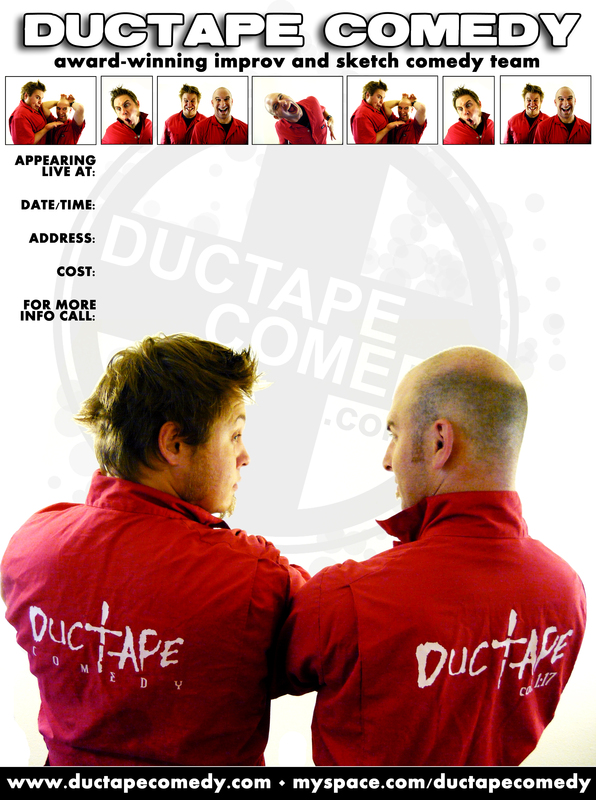 Known as much for their hearts for ministry as their talent for comedy, Ductape jumped from being a regional ministry to an international touring group within the span of a few short years. These young guys pour boundless energy into live performances that surprise and delight crowds while teaching the Word through their ministry. Ductape is a favorite of camps, retreats, conferences, concerts, and other events geared toward youth and family. Many of their sketches and improvs involve extensive audience interaction -- including on-stage participation -- which helps the group connect with the audience in an unforgettable way. They are then able to share the gospel with their more serious sketches and giving their testimonies. This is a unique and highly recommended up-and-coming ministry.